Heart’s Ease star Ramanique Ahluwalia, writer-director Jassa Ahluwalia, producer Olly Fawcett and psychological consultant Ruth Hare on the red carpet. Photo: Pamela Raith. Jassa’s debut as a writer-director took top honours on Saturday night at the closing gala of The Short Cinema, Leicester International Short Film Festival. 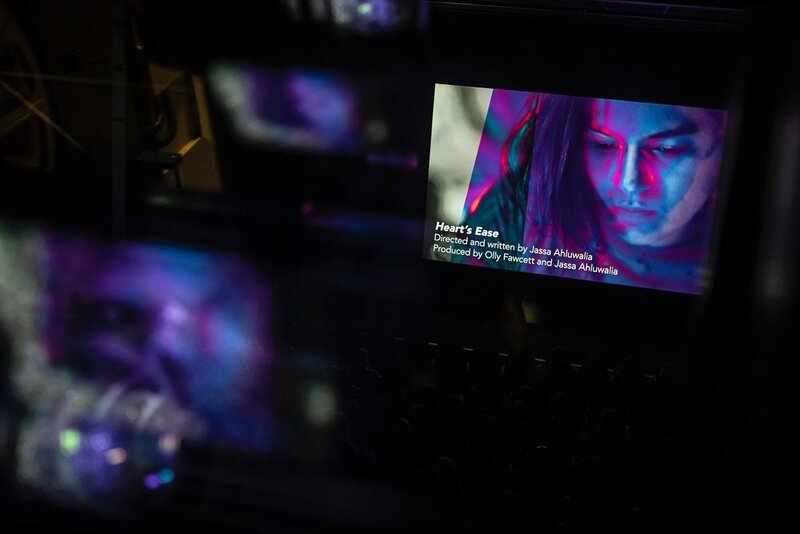 Heart’s Ease fought off competition from numerous other shorts to win BEST FILM. The event took place at Leicester’s Phoenix Cinema and was organised by BFI Talent Executive, Alexzandra Jackson. In his acceptance speech Jassa paid tribute to Phoenix, noting the cinema’s role in his development as a cinephile growing up in Leicester. Heart’s Ease wins Best Film. Photo: Pamela Raith. Heart’s Ease at The Short Cinema. Photo: Pamela Raith. Heart’s Ease is set to continue its festival run at Los Angeles Lift-Off Film Festival in September, followed by San Diego International Film Festival in October. Further festival dates are to be confirmed. Follow Heart’s Ease on Twitter. Follow Heart’s Ease on Facebook.